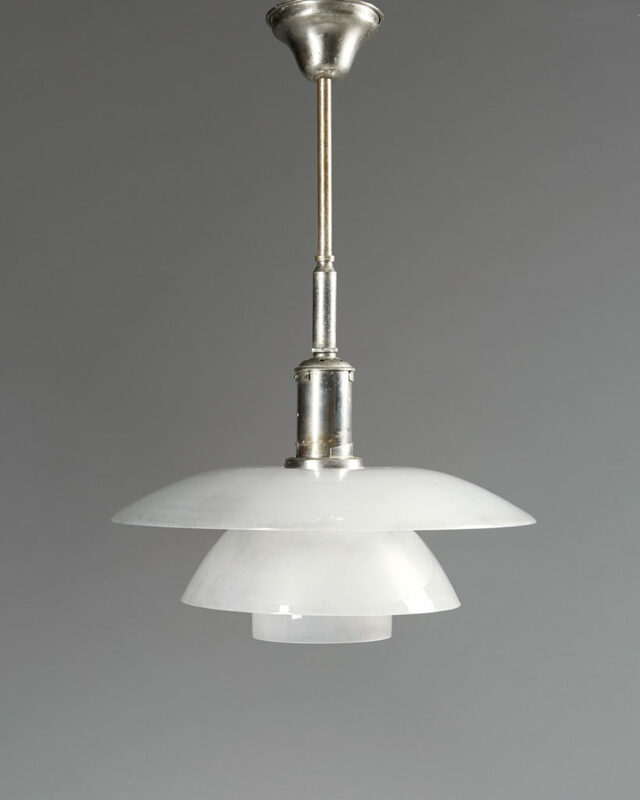 A Poul Henningsen lamp is one of Scandinavia’s most famous designs. There is probably not a single elegant and design-conscious home in Denmark or Sweden without at least one example. And since some models are still being produced by Danish company Louis Poulsen and selling like hotcakes, Modernity has decided to share its tips on how to recognize the most valuable ones, those on top of collectors’ wishlists. 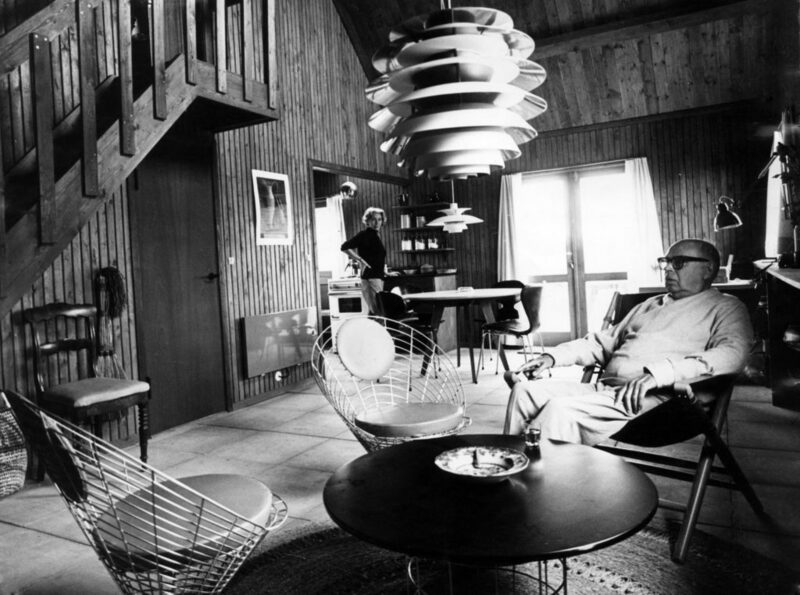 Poul Henningsen never graduated as an architect and quickly turned his professional interest towards lighting. He used to sit on the bus in Copenhagen and snivel at how bad the lighting was inside people’s homes. The light bulb was still a fairly recent invention, which consumers embraced massively, and according to him, excessively. Hence the reason why Poul Henningsen started obsessing and experimenting with light. He was convinced that the light bulb was an aggression to the eyes, and must therefore be invisible, yet efficient in the way its light was being diffused. His first breakthrough happened at the 1925 World Exhibition in Paris. Poul Henningsen’s ‘Paris’ lamp, originally exhibited under the name Système PH was celebrated for its innovative distribution of light. The piece won a gold medal at the exhibition and the producers, Louis Poulsen, received silver. It has since been known as the ‘Paris’ lamp. 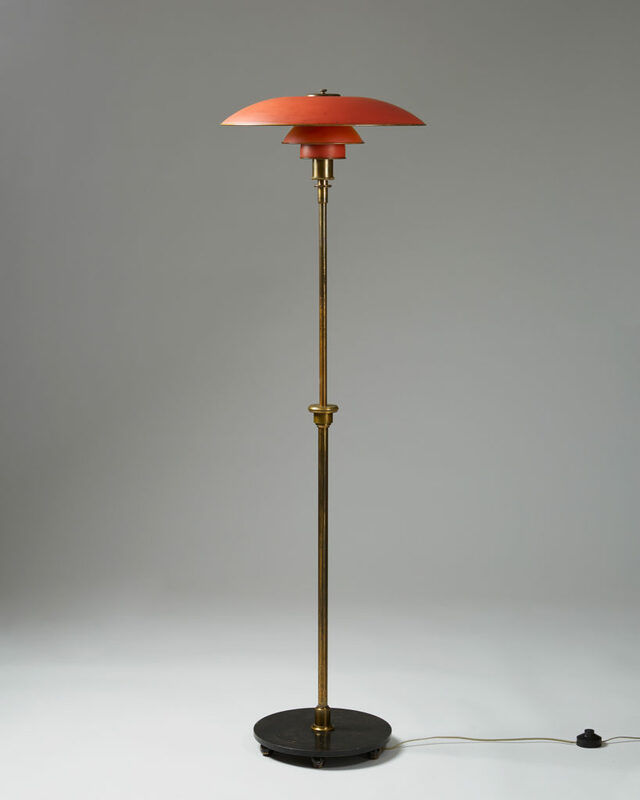 According to Philips auction house, the only known remaining examples of the ‘Paris’ lamp are one from the Paris exhibition of 1925, one from the Schucani & à Porta restaurant commission and one sold at one of their recent auctions for £87,500. Needless to say that seeing one on the market in the near future is a pipe dream. It is therefore wiser to consider an all time classic, regular three-shaded ceiling or table PH lamp for building a Design collection. Poul Henningsen came up with his world-famous design in 1926 and worked on variations of it until the end of his career. His very early pieces were produced in white, frosted and amber-colored glass, alternatively in lacquered copper, the last two being the most desirable ones. The white ones were produced in the 1920’s and early 1930’s out of milk glass, soon to be replaced (and never to this day produced again) by cased glass. Milk glass shades have a solid white colour, as opposed to cased glass which consists of two, sometimes three different layers of glass. Milk glass is undeniably more coveted. The lacquered copper ones should have their original paint, which is easily noticeable with the paint loss, especially around the metal screws placed on the lower shade. 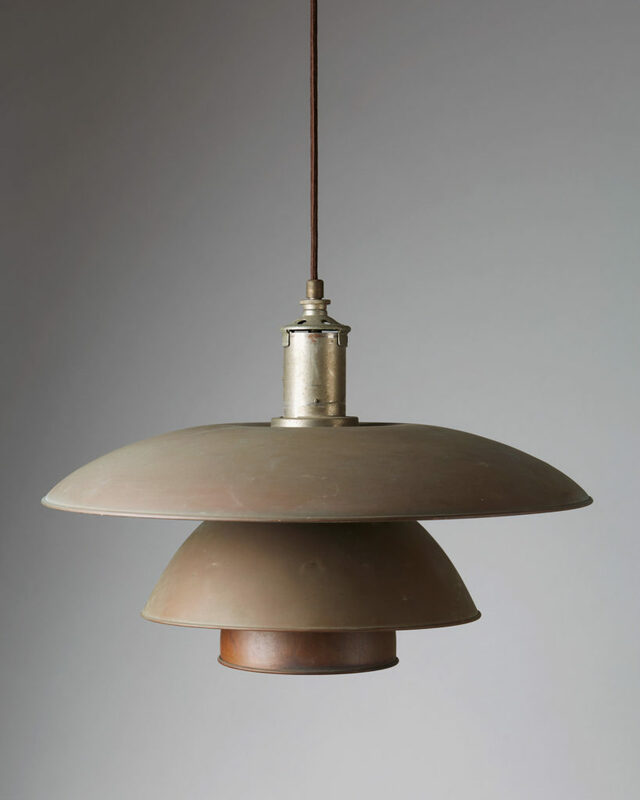 Poul Henningsen started producing his very first models using two little side screws to hold the top housing of the lamp onto its base, but then realized, after about a year, that they were unnecessary as it stayed easily in place thanks to its sole weight. As for the screws holding the lower shade, they should be original – very well-finished and in two parts: one screw and a secondary threaded locking mechanism. Poul Henningsen quickly realized that he was onto something innovative and special so he applied for a patent almost immediately, in 1926, marking all his production “PAT. APP.”. 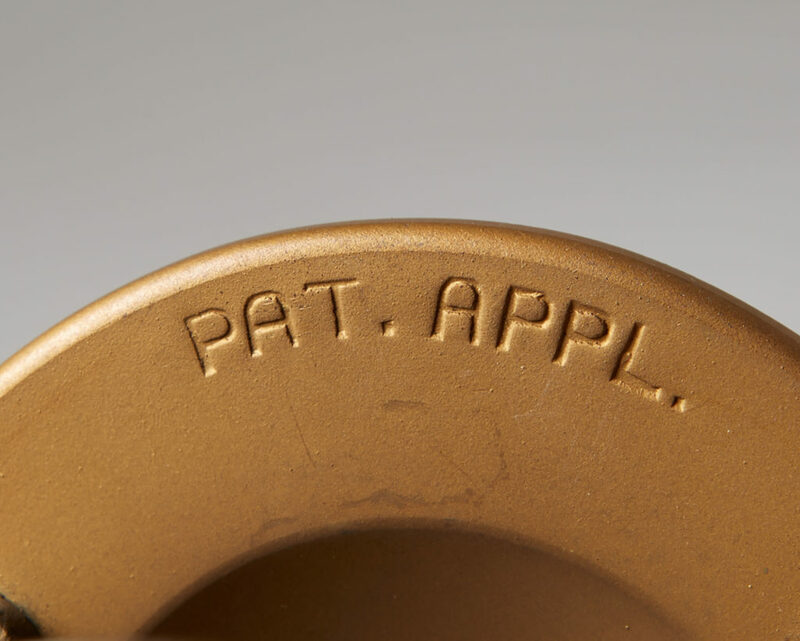 After the patent was granted at the end of 1927, pieces already on their way out of the manufacture would still be marked “PAT. APP.” for some months but new ones were marked “PATENTED”. In the early 1930’s, Poul Henningsen considered the mark no longer necessary and simply stopped using it. The early PH models had a bronze, polished brass or nickel-plated foot. In the early 1930’s, the brass housing was replaced by less expensive bakelite, which also gives an indication on the approximate production date. 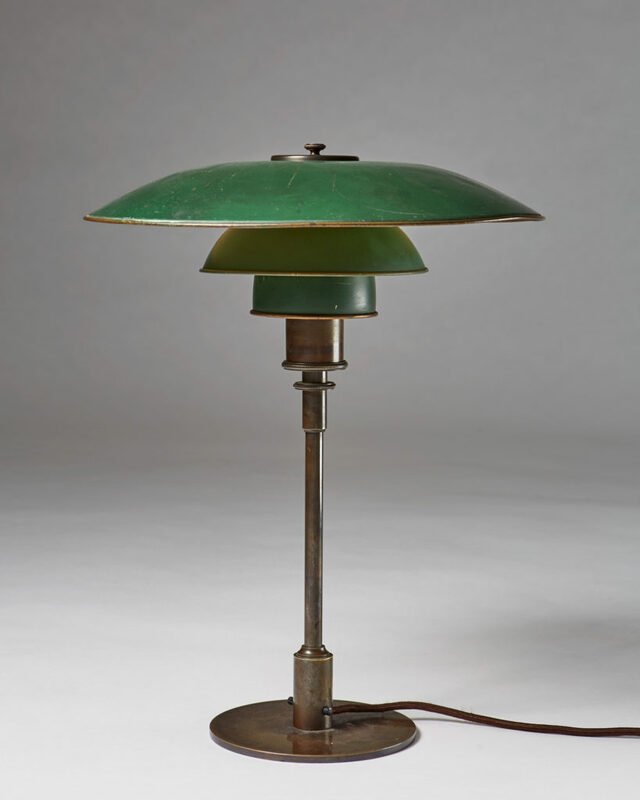 Although Poul Henningsen’s early lamps were a great success, his later designs are among his most popular ones. 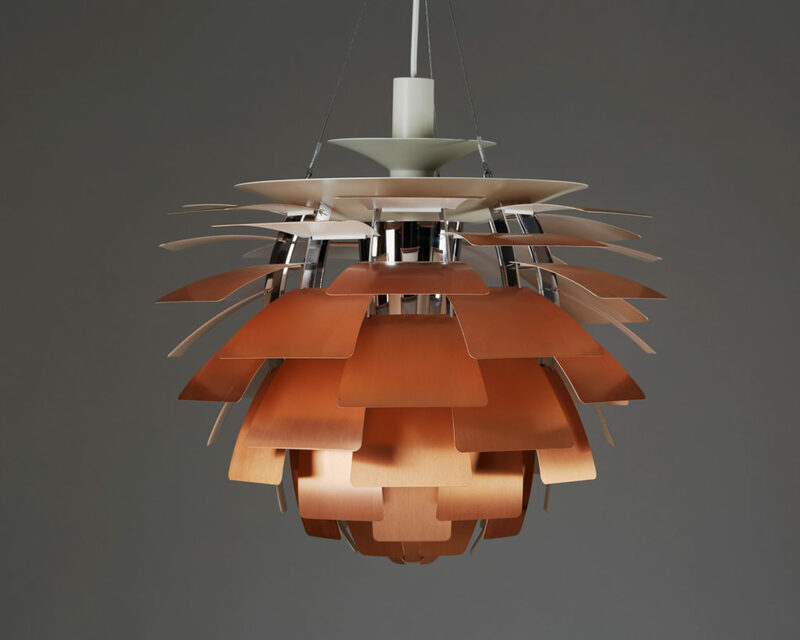 The Artichoke ceiling lamp and the PH-5 were both designed in 1958 and are still in production. Two classics seen in many Scandinavian homes today. Normally, you should be able to tell now, without hesitating, which lamp in Modernity's collection is the most desirable one. Join us on instagram @modernitystockholm for more tips about how to build your Design collection. PH 5/3 floor lamp designed by Poul Henningsen for Louis Poulsen, Denmark. 1926-1928.